We are a full-service calligraphy and letterpress business, which means we send you the options, you make the choices, and we do the work. 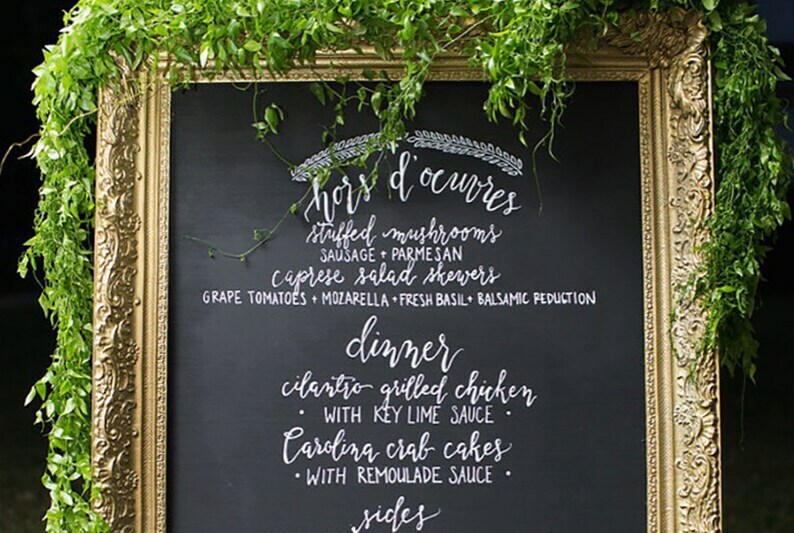 We also will purchase the necessary supplies, personalize your chalkboard, and take care of all the details. If you prefer to send your own materials, we can adjust our prices to accommodate those projects. Please contact us for more information or to get started. Please contact us if you would like pricing on calligraphy services only and you will be provided your own supplies.